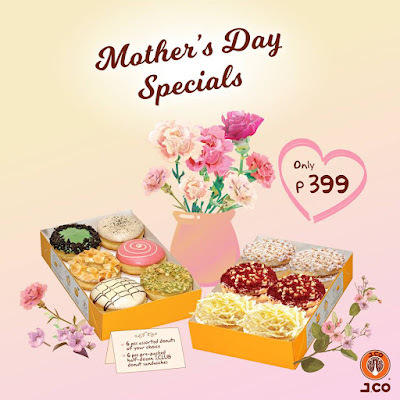 Treat your mom J.Co's Mother's Day Treats with a premium J.CO bundle of your choice of half dozen donuts & a pre-packed selection of J.Club Sandwiches and tell Mom she's the greatest! 1. 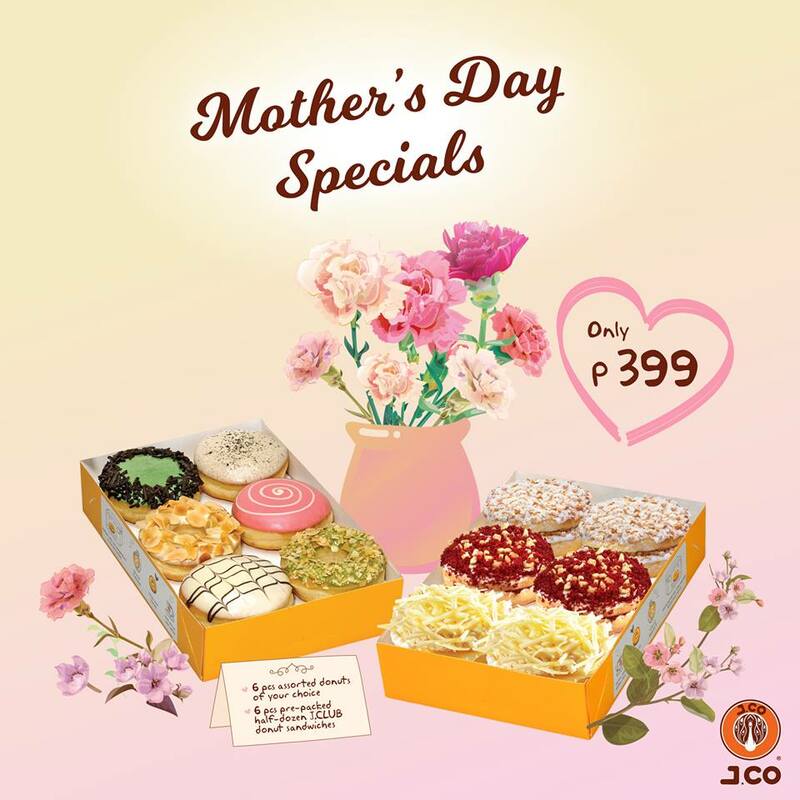 Purchase half-dozen donuts of your choice and pre-packed half-dozen J.CLUB for only P399, maximum of 2 sets per customer. 2. Pre-packed half-dozen J.CLUB box consists of two (2) pcs. Cheezy Rich, two (2) pcs. Red Velvet and two (2) pcs. White Velvet. 3. The promo cannot be exchanged for other items or discounts and cannot be used in conjunction with other promos. In the purchase of goods and services which are on promotional discount, the senior citizen can avail of the promotional discount or the discount provided under the Expanded Senior Citizens Act of 2010, whichever is higher. In compliance to, Section 4 of R.A. 9994, otherwise known as the Expanded Senior Citizens Act of 2010. 4. Promo is valid on May 11-13, 2018 in all J.CO stores nationwide except for booths and kiosks.